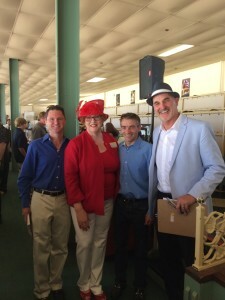 On Sunday, June 14th, 2015, the Children’s Medical Care Foundation and the California Association to Aid Ukraine co-sponsored the 2015 Day at the Races to benefit the Lviv City Children’s Clinical Hospital. 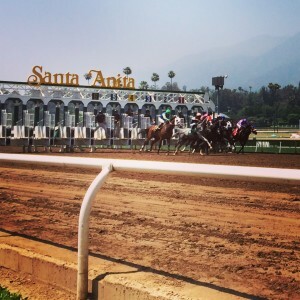 This event, held at the historic Santa Anita Park, brought together supporters, friends and family of these two partner organizations for an afternoon of great food, fancy headwear, friendly wagering and the thrill of watching nine separate races from a private section of the racetrack. Proceeds will help realize the renovation of Lviv City Children’s Clinical Hospital into Ukraine’s first state-of-the-art pediatric emergency and trauma center with the ability to treat the nation’s most critical cases. Special appreciation goes Shannon Micevych and Phil Brewster, long time Board Members of CAAU and CMCF for their co-organization of the event. And heartfelt thanks to all who came out for this fun afternoon in support of a very worthy cause.